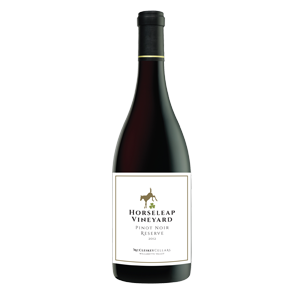 2014 Horseleap Vineyard Estate Pinot Noir Reserve “The 2014 Oregon Pinot will be revered as the ultimate experience of one’s existence. Starting with the happy festival of bud break through to the ritual of harvest, we have experienced the picture-perfect growing season that has delivered a record amount of extraordinarily composed fruit. The combination of graceful balance, acidity, pastoral earth, and bright red fruit places this firmly in the “I want more” category.